Spring has hit with a vengeance here in New England. After a long drawn out winter, it’s certainly a welcome change. With everyone gearing up to do much-needed spring cleaning and commit to getting more active, it’s a great time for the whole family to get outdoors. There’s one member of the family to consider especially – your pup. Much like their human counterparts, dogs love the fresh air, the extra daylight, and the mild temps. Any extra activity minutes that can be added to their day is a welcome treat. And as an added bonus, it keeps their owners sticking to their fitness goals too. If you haven’t already, now’s the perfect time to grab a light jacket and go for an extra outdoor walk after supper. The temperatures are mild enough, it’s still light out and your four-legged friend will be oh so happy with the extra time spent outdoors. Yep, it’s true, dogs can have spring fever too! Just try mentioning the word “leash” or “walk” around them and they’re likely to start wagging and pacing in an excited frenzy. The warmer temps make many dogs naturally more fidgety and antsy. You want to give them a chance to burn off this extra energy and adding in an extra walk or trip to the park to toss the ball is a great way to do that. Choose some time either early in the AM or before calling it a night – either way, they’ll be happy to have had more playtime and will use the sleeping hours to nap quietly. Perhaps the best part about spring though for families is that there’s more time to spend unwinding after a long day. Cookout on the back patio while the kids play. Supervise from close by and let the dog roam free. You can maintain confidence that your pup will be safe outdoors if you use a pet containment system like those offered from Dogwatch. 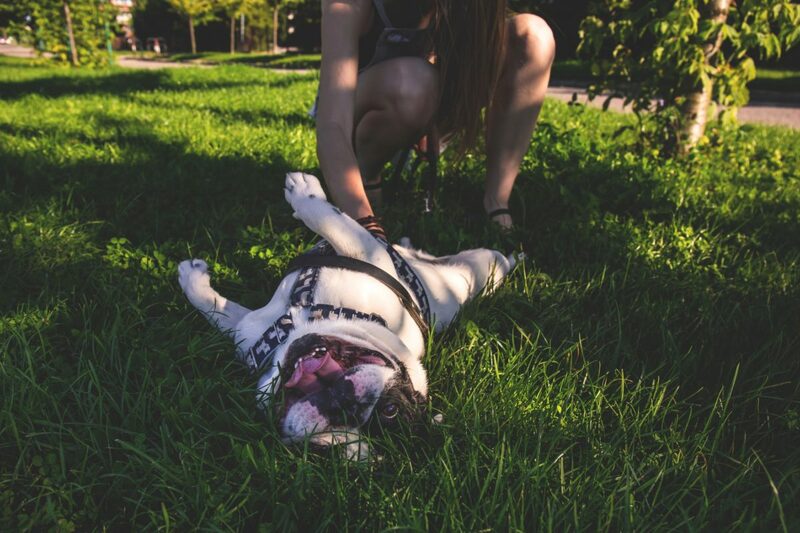 Set-up safe boundaries that keep your dog away from the road and the garden beds and leave yourself a few extra minutes to enjoy unwinding for the night.